Foreign Affairs Minister Winston Peters has called for a “Re-set” to help our Pacific family to be independent and self sufficient (29 June 2017). 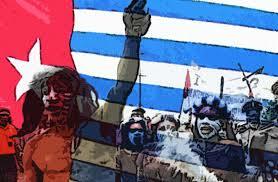 This forum will consider the repercussions of this call for Indonesian controlled West Papua. to ask one prepared question to the Panel. Chair: Dr Jeremy Moses, Senior lecturer in international relations at the University of Canterbury. for the Independent free vote for indigenous West Papuans. Self-Determination as part of his Masters in International Law and Politics. Subscribe to our list to get updates of webquests, resources, teaching ideas or to pre-register for our UNA Course.